Did you know that walking just 30 minutes per day can reduce your risk of heart disease, stroke and diabetes? Walking has also been shown to improve your blood pressure, help you maintain your weight and lower your risk of obesity. At Doylestown Health, we are committed to helping our community get healthy and stay healthy. 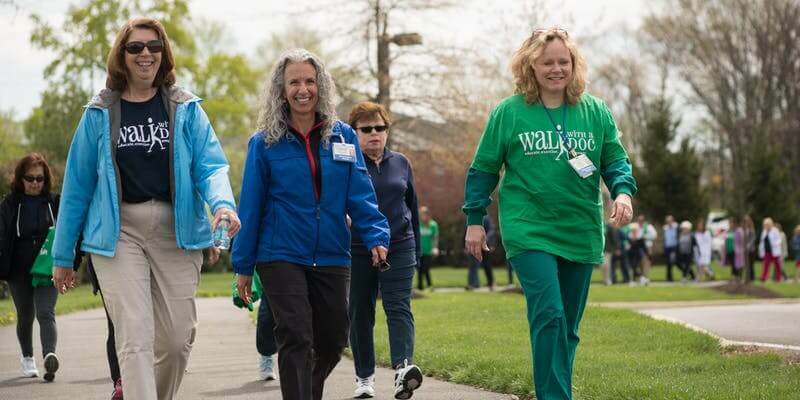 Join Doylestown Health cardiologists for a walk around Doylestown Hospital’s walking path. WHO CAN ATTEND: EVERYONE! Bring a friend, a family member or your pet! WALK WITH A DOC IS FREE! There is no need for special gear, just lace up a pair of your most comfortable shoes and join us for a morning of fitness and fun. Click Here for upcoming walk schedule!